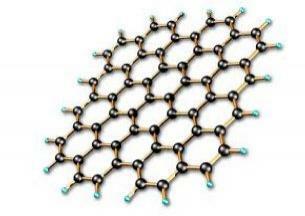 Graphene is a two dimensional layer of carbon atoms, arranged in the form of a honeycomb lattice. It is touted as a “miracle material” because it is endowed with an abundance of astonishing traits - this thin, one atom thick substance is the lightest, strongest, thinnest material known to man, as well as the best heat and electricity conductor ever discovered - and the list does not end there. Graphene is the subject of relentless research and is thought to be able to revolutionize whole industries, as researchers work on many different kinds of graphene-based materials - each one with unique qualities and purpose. The significant body of work on various properties and applications of graphene shows that its potential to disrupt entire industries is enormous. In the field of mobile technology, graphene applications could be varied and touch everything from transparent flexible screens to next-gen batteries which could last much longer and charge faster than any current technology, through durable phone casings and extremely powerful processors. Despite graphene’s amazing potential, there are still quite a few challenges to overcome before applications become commercialized and commonplace. Production costs, volume manufacturing, standardization and market awareness and acceptance are just some of the key challenges that need to be addressed, and it will probably take some time and efforts before graphene can truly live up to the hype. The MWC 2016, the world's largest event for the mobile industry held in Barcelona, Spain, will feature an entire pavilion dedicated to graphene in regards to the mobile world. This exciting precedent emphasizes the growing attention that graphene is receiving in the technological world and the recognition of its ability to become increasingly important in the future. Conventional battery electrode materials can be significantly improved when enhanced with graphene. Graphene can make batteries that are light, durable and suitable for high capacity energy storage, as well as shorten charging times. It will extend the battery’s life-time, and add conductivity without requiring the relatively large amount of carbon that is used in conventional batteries. Graphene can improve such battery attributes as energy density and form in various ways. Li-ion batteries can be enhanced by introducing graphene to the battery’s anode and capitalizing on the material’s conductivity and large surface area traits to achieve morphological optimization and performance. LFP ( Lithium Iron Phosphate) batteries, a kind of rechargeable Li-ion battery, have a lower energy density than other Li-ion batteries but a higher power density. Enhancing LFP cathodes with graphene allows the batteries to be lightweight, charge much faster than Li-ion batteries and have a greater capacity than conventional LFP batteries. Many see next-gen batteries as moving away from electrochemical cells towards supercapacitors, and a combined use of graphene batteries and supercapacitors could yield amazing results. Supercapacitors store energy in an electric field instead of a controlled chemical reaction. Supercapacitors display quicker charging times and are more durable and consistent across a wider temperature range compared to batteries. Given graphene’s conductivity, flexibility and transparency, displays are a natural choice of path for graphene use. The three most popular areas are graphene-based conductive wires for transparent touch panels, display backplanes and transparent electrodes for OLEDs. Currently, most touch panels (used mostly in mobile phones and tablets) use indium tin oxide (ITO) that is conductive and transparent, but in limited supply and also brittle (thus not suitable for flexible panels), so companies are looking for alternatives. Graphene can be an excellent candidate for replacing ITO, especially in flexible displays. Still, despite the fact that the display market indeed seems like a natural fit for graphene and that it is one of the first applications to have been commercialized (especially in China), several other technologies exist, like silver mesh and silver nanowires, that are more advanced and seem to be better suited than graphene for this specific application. ITO is also used today in displays as a transparent electrode (cathode in bottom-emitting displays or anode in top-emission displays). Again, as in touch panels, it is possible to replace the ITO cathode / anode with a graphene-based one. Graphene may also be used to produce a display backplane. The backplane is the driver (or electronics) that is used to control which pixels are on and which are off in a display. Currently most displays (whether LCD, e-paper or OLED) use silicon or Oxide-Metal TFT backplanes. Graphene is highly conductive, but it has no bandgap – so it’s not suitable for a backplane material. However, it is possible to introduce a bandgap to graphene. Other next-gen backplane materials include graphene-like 2D materials that do have a bandgap (such as MoS2).